By Sofia AK in Internet. Updated on April 26, 2018 . Security is a hot issue these days. With the recent issues of internet tracking, more and more internet users want to safeguard their online privacy. Many of us are looking for a way to safety transfer data and that includes information transferred via email. 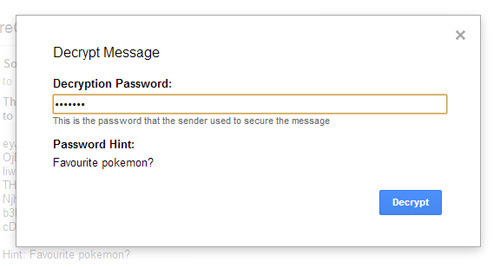 We covered how to send an encrypted email using SafeGmail before, but unfortunately SafeGmail is no longer in service. But, fret not we have found another, even better tool which can help you to encrypt your emails. SecureGmail is a Chrome extension which allows users to send encrypted emails and is compatible with your Google accounts. To send an encrypted email for Gmail, first you need to install SecureGmail on Chrome. After installing, you will see a lock icon beside the ‘Compose" button. 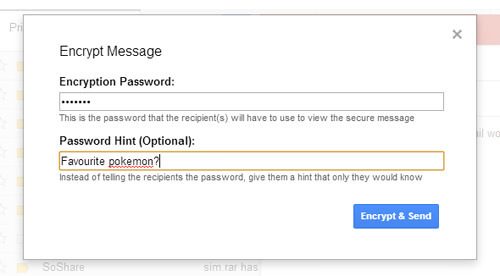 Click it before composing the email you want encrypted. Compose the email like how you normally do and when you are done click on Send Encrypted. A pop up will prompt you to set a password and a hint to your password for your encrypted email. Before decrypting, the content of the email is unreadable. 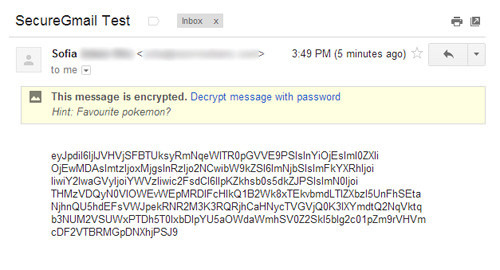 To decrypt the encrypted email, the receiver needs to install SecureGmail on their Chrome browser too. When they receive the encrypted email, there will be a clickable ‘Decrypt message with password‘ link. Click on the link and it will ask for the password that the sender set earlier. After putting in the correct password it will display the email content. You can’t directly reply to the encrypted email. To reply to that email you need to compose a new email. The email cannot be saved as draft when composing in encrypted mode. In conclusion, SecureGmail is a good replacement to send encrypted emails. And compared to SafeGmail, SecureGmail has an easier way to decrypt the encrypted email as you do not need to leave the page to decrypt it.